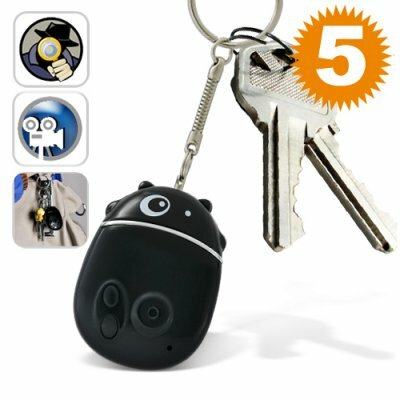 Successfully Added Keychain Camcorder and Camera to your Shopping Cart. This cheap Keychain Camcorder and Camera is one of the newest tools on the market for capturing video footage wherever and whenever you need it. Featuring a 1.2 megapixel image sensor, 2GB of internal storage, and video capture at 30 frames per second (30 FPS), this tiny keychain camcorder is an adequate video recording solution for anyone needing to instantly capture events as they are happening. Important note - Due to such overwhelming demand for this product, we had the production line run for one more week just for this product. However, there will now be a M.O.Q. (minimum order quantity) of 5 units starting in early March to optimize the shipping price and allotment of the new product stock. Get your orders in now to experience this cheap little keychain camcorder for yourself and have enough stock for your customers! Click "add to cart" now to get yours while our supplies last! A qualidade do video é perfeita, a câmera é muito discreta, nota 10!!! !